Black i create photographs t-shirt. 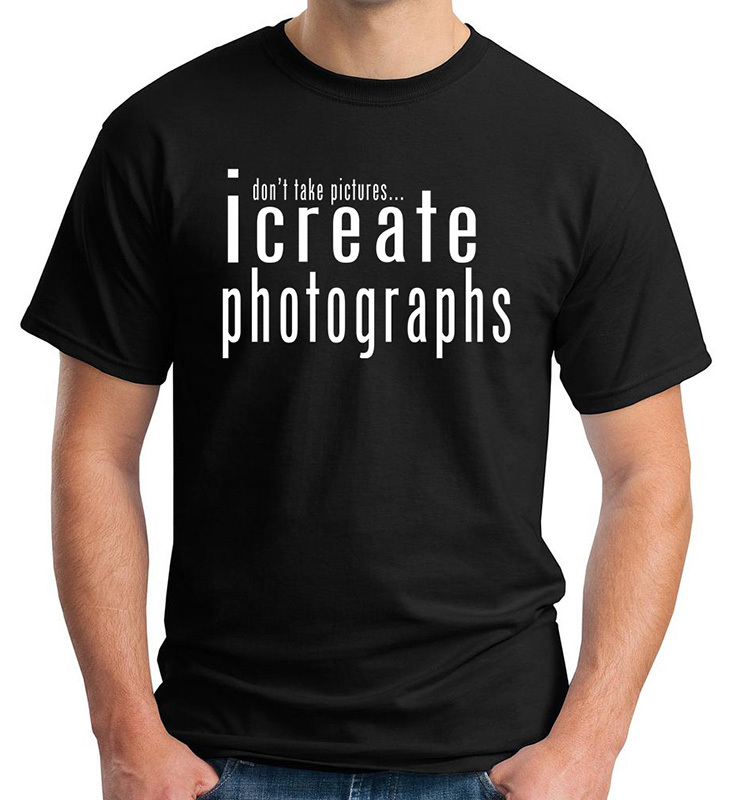 High Quality black 'i create photographs' t-shirt. Sizes Small, Medium, Large, XL, XXL. 3X and 4X sizes are currently in short supply and may take 6-8 weeks for delivery.